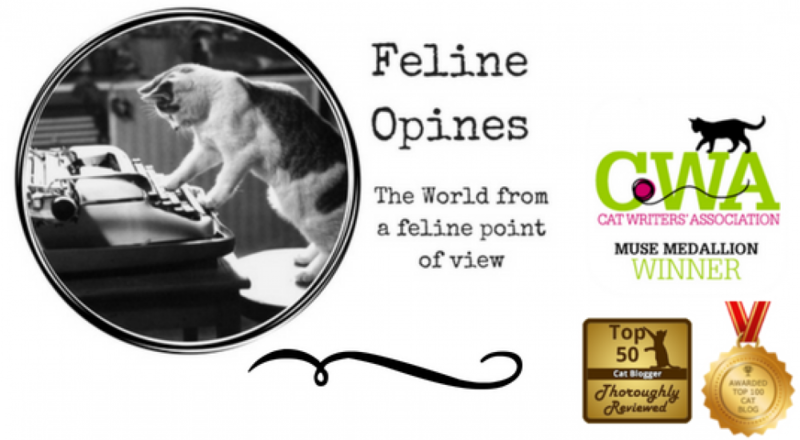 This entry was posted in Cat adoptions, cat behavior, Cat blogs, Cat food, Cat writers, Cat Writers Muse Award winning blog, cats, kittens, Pet blogging, Siamese cats and tagged Black cats, cats and iPads, cats and snacks, tribe of five, Tucker by Feline Opines. Bookmark the permalink. Tucker, how dare the humans not cuddle with you while they’re watching a movie! That calls for a hairball in their shoe for sure. Great idea Lola and I agree with you completely and a strategically placed hairball is always an attention grabber! Look at you. So precious. I loved your fill-ins and I also linked you to Feline Friday. This thank you is a bit late (our Purrsonal Assistant is not keeping up with her workload) but THANK YOU! We’ll come over and cuddle with you any time, Tucker! Hmph. Proper prorities! You sure did a darn good job with those answers Tucker! Before dinner treat, dinner, and after dinner treat — you sound like our MIkey. When watching the box, the hands should be free to pet and snuggle. Great advice and glad to know there are other felines that have their food priorities in place! You outdid yourself Tucker. I like laying on the OpEd page of the newspaper. MOL! There’s no room on the couch for you when they watch movies? I sit next to Pop when he watches movies. I need to be more like my sister Jasmine. She just hops on top of the Female Human and sits on her face! Thank you and any treat giver is a furiend of mine! Tucker, you are just too cute. We love the fill-in answers that you shared. Looks like cuddle time is after the humans are watching the box. But at least you have plenty of delicious treats before and after dinner. Thanks for the share. Have a great day. Why thank you for the compliment. I don’t want to demonize my Humans, they do give me lots of love! Thank you, I am a loveable guy! We LURV black cats…but we LURV all cats! Having Da Boyz is a remarkable experience; two brofurs, who look alike! Those black cat pictures are awesome. Have a blessed week. Love the photos and answers. Hope someone comes and joins you so you won’t be lonely. Thank you! Lily is my favorite cuddle buddy and she usually shows up for a snuggle. Hope Lily shows up then. Oh, Tucker! You are simply adorable. I would definitely snuggle you while watching television. A before and after dinner treat sounds reasonable to us. First of all, Tucker, you are downright handsome. Second of all, thank you for joining in on the Friendly Fill-Ins! Your treat situation sounds a lot like Evan’s around here. If you wait at the treat dispensing location, then surely more treats will come your way, right? Exactly, purrsistance pays off when snacks are the goal! Snoops & Kommando Kitty . You are wise felines .